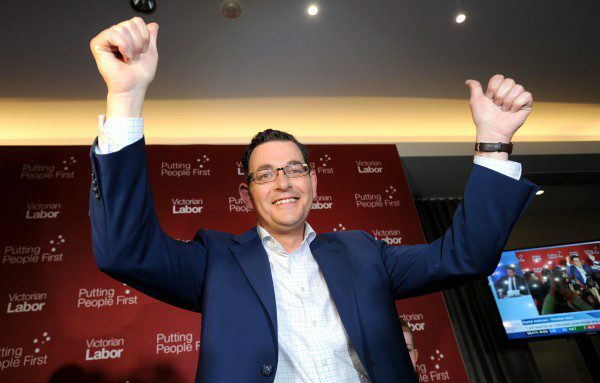 Labor’s result in the Victorian election sees a new chapter written in the story of Greek Australian political representation. Of the 47 seats predicted to fall to Labor, four at least are filled by Greek Australians, one of whom – Jenny Mikakos – becomes the first woman of Greek heritage ever to be appointed a minister at any level of government in Australia. With the last votes still being counted in the Legislative Council, Lee Tarlamis must wait until next week to find out if he will join Jenny Mikakos in being returned for Labor, with Philip Dalidakis – a former deputy chief of staff to ALP heavyweight Stephen Conroy – elected in the Southern Metropolitan Region. In the lower house, after defeating Liberal incumbent Elizabeth Miller by the tightest of margins, Nick Staikos – former Glen Eira City councillor and advisor to Simon Crean – also makes his debut on the parliamentary stage for the seat of Bentleigh. Staikos will be joined by former City of Monash Deputy Mayor Steve Dimopoulos. With the retirement of Anne Barker, Dimopoulos retained the seat of Oakleigh with a swing of almost three per cent. Jennifer Kanis who won the seat of Melbourne at the 2012 by-election was narrowly defeated by the Greens’ Ellen Sandell. Ms Kanis was the only sitting Labor lower house MP to lose her seat. Speaking to Neos Kosmos, Phillip Dalidakis who has been a Labor member since the age of 15, said his task now was “to serve the public in every which way I can”. Mr Dalidakis said that repairing the Napthine government’s cuts to the TAFE sector were an immediate priority, along with Labor’s promise to replace 50 of Victoria’s most dangerous level crossings, a number of which are in his electorate. “It’s about restoring services, we need to make sure we keep taking the community with us”. Steve Dimopoulos, whose 42nd birthday coincided with Labor’s first caucus meeting since the election, said that Labor’s victory was down to a difference of narratives between the major parties. Mr Dimopoulos vowed that he would reach out to all in his electorate, not just the Labor faithful. “I want to get to know those who didn’t vote for me and message to those people is ‘I’ll work everyday to gain your trust’, that’s my approach. “From day one I’ll be visiting everything that represents our community; every school, every sporting club, every community group”. Jenny Mikakos, appointed Minister for Families and Children, and Minister for Youth Affairs in the Andrews cabinet, said she felt “humbled by Victorians’ support for Labor and for me personally”. Ms Mikakos added that Daniel Andrews had been “a great leader, keeping us all united and focused, and he will be a great Premier. I will be working hard in an Andrews Labor Government to make our state better”.